Nice shot of the deer. We don't see them as much anymore since our apple tree was cut down. A really good reason to stop. Good Dutch tilt. Great cute find and capture. 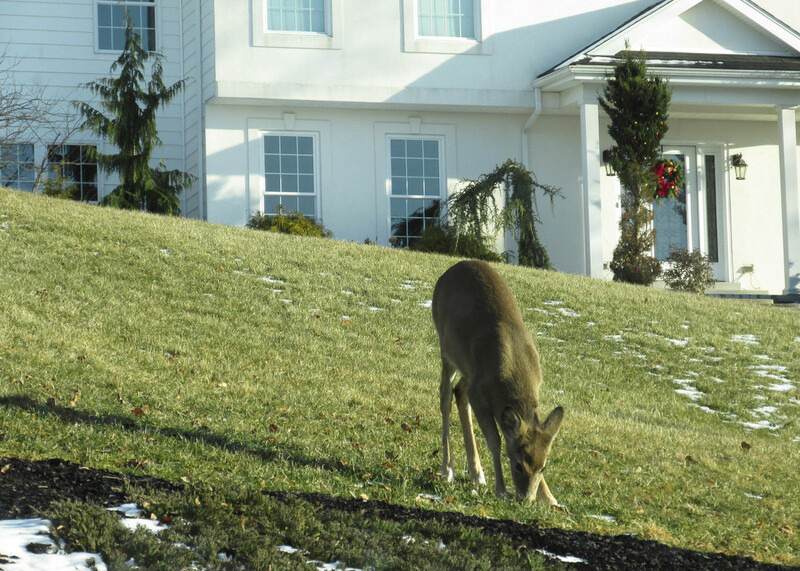 We are warned for deers in living area`s. An accident is possible and often to bad for both. Take good care with driving. Well done, never let a photo opportunity pass you by.